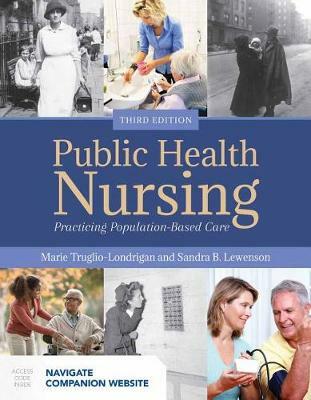 Public Health Nursing: Practicing Population-Based Care, Third Edition is a comprehensive resource for students and faculty interested in public health nursing and education. The text takes a historical perspective in covering the challenges of public health nursing and offers evidence for why things are done the way they are. The authors accomplish this by providing a world view of various types of clinical experiences and by encouraging a conversation around how to invite the population to be active and engaged in the initiatives which promote public health. The Third Edition covers the role of nursing in primary health care, the history of public health nursing, the science of population-based care inclusive of epidemiology and social epidemiology, evidence-based practice for population health. In addition, coverage of technology for research, data storage, retrieval, trend identification, as well as technological innovations for educational program delivery to a population and social networking are also featured.